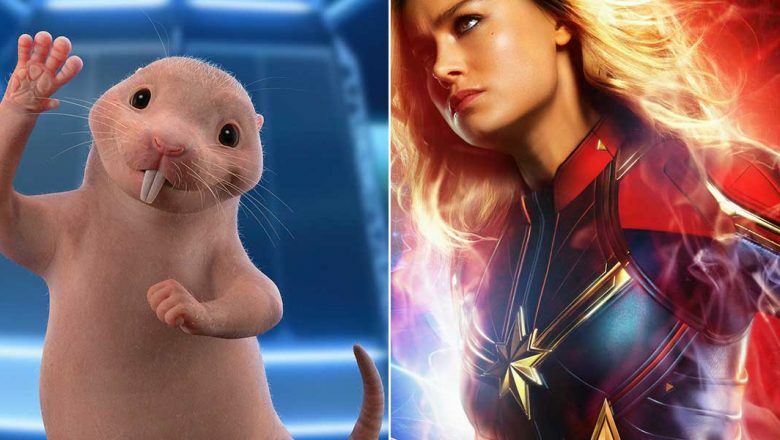 He’s a fan favorite from the original Disney Channel series Kim Possible, and he’s back in the brand-new upcoming live-action Disney Channel Original Movie… yes, Rufus the naked mole-rat is returning to Middleton, and he’ll be voiced once again by Emmy®- and Annie Award-winning voice actress Nancy Cartwright (The Simpsons). The DCOM follows everyday teen hero Kim Possible (Sadie Stanley) and best friend and sidekick Ron Stoppable (The Goldberg’s Sean Giambrone) as they embark on their freshman year of high school—all while dealing with a few evil super villains. With danger lurking around every corner, Kim must rely on her family and friends more than ever; it’s now up to “Team Possible”—Kim, Ron, tech-genius Wade, new friend Athena, and Rufus, a naked mole-rat that Ron meets along the way—to stop the villains and save the world! Look for Kim Possible on Friday, February 15, at 8 pm. EST/PST, only on Disney Channel and DIsneyNOW. We have to admit: We think it’s paws-itively genius that they’ve included Goose, Carol Danvers’ (Brie Larson) beloved cat, in the collection of brand-new character posters just released for Captain Marvel. Honestly, that cool kitty is a big reason we cannot wait to see the film. 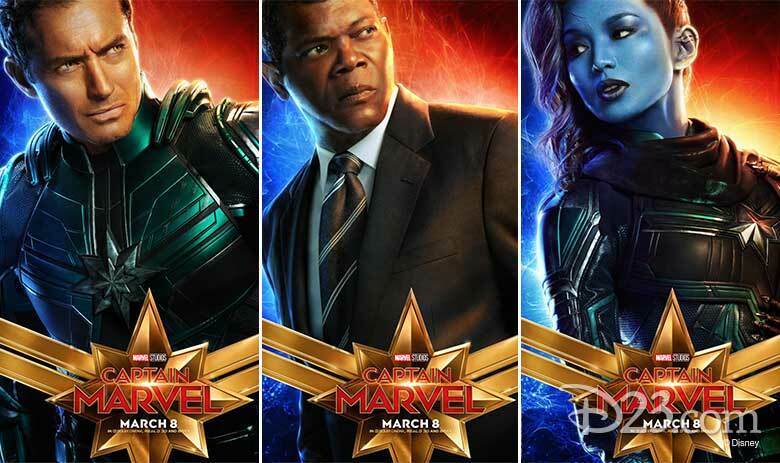 Other gorgeous new posters feature Larson as Captain Marvel herself (of course), Samuel L. Jackson as Nick Fury, Jude Law as the commander of Starforce, Ben Mendelsohn as Talos, and Gemma Chan as Minn-Erva. Set in the 1990s, Marvel Studios’ Captain Marvel is an all-new adventure—from a previously unseen period in the history of the Marvel Cinematic Universe—that follows the journey of Carol Danvers as she becomes one of the universe’s most powerful heroes. When a galactic war between two alien races reaches Earth, Danvers finds herself and a small cadre of allies at the center of the maelstrom. Look for Captain Marvel, directed by Anna Boden and Ryan Fleck, in theaters beginning March 8! Are you ready for a super fashionable way to continue celebrating Mickey Mouse’s 90th anniversary and its accompanying World’s Biggest Mouse Party? You positively must check out Vogue.com’s just-published rundown of some of the most eye-catching “Main Street Style” seen recently at Disney Parks around the world. Find out more, and see some of the iconic looks in action, here at D23.com. 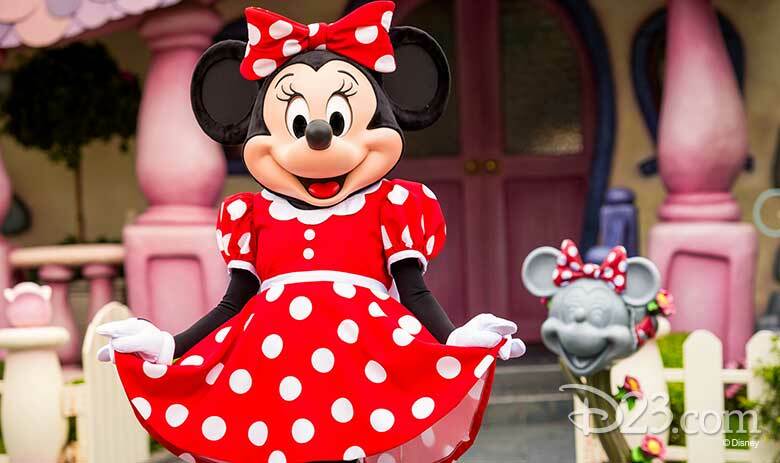 Speaking of Mickey’s 90th—it’s Minnie Mouse’s anniversary, too, and she’s getting in on the fun this year in a really big way! Case in point: Next Tuesday, January 22, is National Polka Dot Day, and Disney is encouraging Minnie fans everywhere to #MinnieStyle with events in Los Angeles and New York, as well as cool new collections launching both online and in retail stores. Torrid, Happy Feet, Pandora Jewelry, Crocs, Jewelmark, and luxury milliner Gigi Burris will all release Minnie-inspired capsule collections in celebration of her amazing milestone anniversary and this dot-filled annual fan holiday. Plus, this coming weekend, the female-founded “athleisurewear” brand Terez and the cold-pressed juice brand Pressed Juicery are hosting a Minnie-inspired fitness event open to the public at Los Angeles’ Westfield Century City shopping center; several Minnie-inspired juices will then be available, beginning January 22, at all 70+ Pressed Juicery locations nationwide! On the East Coast, artist Alake Shilling will debut stunning artwork inspired by Minnie at Mickey: The True Original Exhibition in New York City on January 22 during an exclusive event. Should you find yourself in the area, tickets are available now by clicking here. So on January 22, break out those polka dots in honor of that ever-so-fashionable and ever-so-lovely Minnie Mouse… and don’t forget to tag your photos on social media with #MinnieStyle! 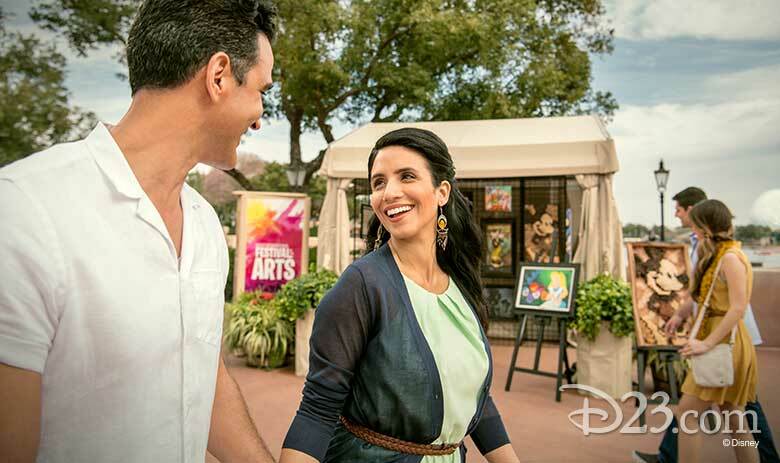 ICYMI: Need-to-Knows for the Epcot International Festival of the Arts! It’s that time of year again—when the globe’s best in food, fine art, and frolicsome entertainment descend upon the hallowed grounds of Epcot at Walt Disney World Resort. Read up on everything you absolutely must know about the Epcot International Festival of the Arts by clicking here. Chinese New Year (also called Lunar New Year) begins this February 5, when we’ll officially be living in the Year of the Pig! Disney California Adventure park in California and Shanghai Disney Resort have all manner of festivities planned—with delicious limited-time food offerings, sumptuous decorations, and memorable entertainment. 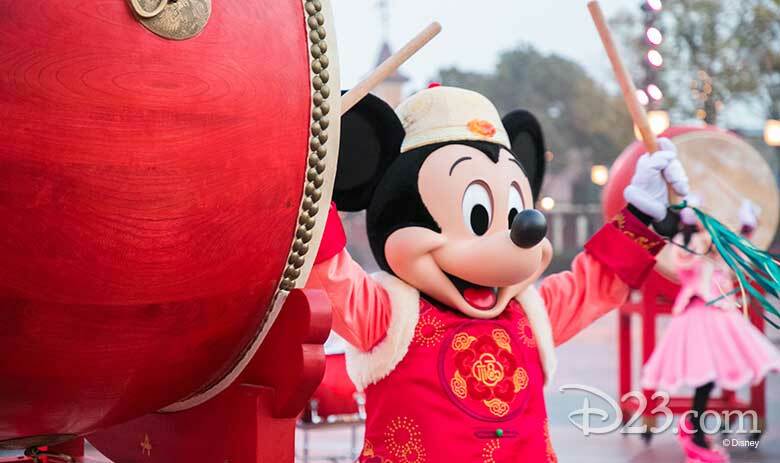 Read more about DCA’s celebrations (which begins January 25) here, and about Shanghai Disney Resort’s festival (beginning this Saturday, January 19) here. Across the pond, our friends over at Disneyland Paris have tons of awesome things planned for 2019—including Legends of the Force – A Celebration of Star Wars, Festival of Pirates and Princesses, Marvel Season of Super Heroes, and much, much more… and you can now catch a playful glimpse of all the fun to be had via a brand-new interactive challenge! The Disneyland Paris Vault (available in both French and English) contains 19 hidden clues about all those upcoming seasonal offerings and events. Guests of all ages are invited to try their hand at finding every clue—and once they do, the vault will unlock exclusive digital content as well as a special message from Disneyland Paris Ambassadors Giona Prevete and Joana Afonso Santiago. Ready to play? Visit vault.disneylandparis.com to start your adventure!